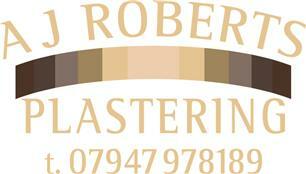 A J Roberts Plastering - Plasterer based in Shrewsbury, Shropshire. Welcome to A J Roberts Plastering. Superior Plastering and Rendering Services in SHREWSBURY, SHROPSHIRE. We specialise in Rendering, Plastering & Refurbishment work. All internal and external work completed to high standards. For many years we have the experience to complete your job to a high standard giving our customers an excellent finish. If you are looking for a superior quality plastering at competitive prices then look no further. We specialise in all aspects of interior and exterior plaster work from small rooms to full restorations and renovations.